very often when we start something we can’t really say why or where it’s going to take us. there’s an initial vision that is a catalyst. if you’re lucky, many good people come along to help inform that vision, refine it, lead you astray and then bring you back to its essence. it’s about resolving yourself to that idea and shutting your eyes tight and jumping with both feet. this is what we were thinking about as we put this 12th anniversary issue together, but it’s also an apt sentiment for our annual arts & culture issue. the artists featured on these pages know all about risk, and courage, faith and pain. they hone their visions through their craft in hopes of creating something that articulates an idea or a feeling. a moment or an emotion. my annual VII in art is an introduction to a group of emerging artists for whom this is particularly true. their careers have taken them through many twists and turns to bring them to now, where their visions are being rendered in works that are deep and true. and they are developing techniques based in the traditional and the unorthodox to establish perfectly singular exercises of art. ruth appelhof, a beloved east end fixture from her time in the ’70s living with lee krasner to her recent stint as the executive director of guild hall, joins our masthead with a profound look at many hues of our daily lives. appelhof’s color theory examines how color shapes our moods, our thought processes and the way we live. 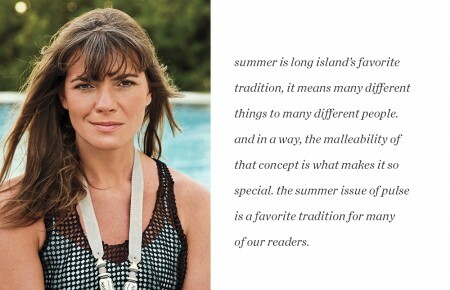 she starts with victor d’amico, the early director of MoMA who planted his art barge in amagansett as ground zero for color instruction, and carries us through to the modern designs of jonathan adler and richard mishaan. ruth connects the dots—all yellow, red and blue of them—between science, biology and vision in pursuit of the pure impact color has on our worlds. speaking of guild hall, our mary gregory dedicates her objectified column to the east hampton museum’s new executive director. 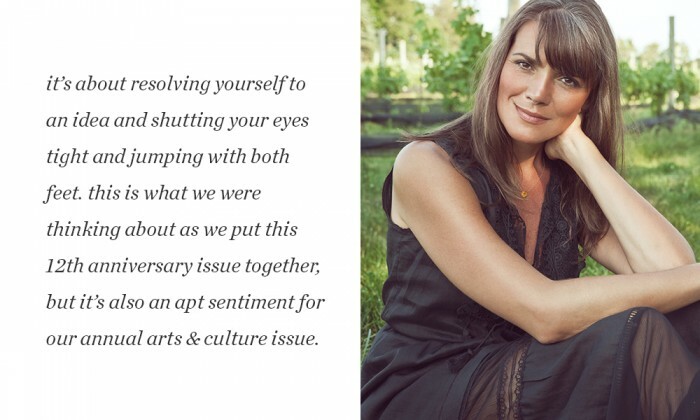 her interview with andrea grover reveals how grover will pave the way toward the future by honoring guild hall’s past. as these things tend to go, a few other not so coincidental coincidences arise in our arts & culture focus. kurt mcvey interviews clifford ross in his engulfing the parrish. the artist’s environmentally-charged works will be crashing upon water mill’s parrish museum. film columnist dylan skolnick looks at al gore’s inconvenient sequel. eleven years after the former vice president tasked us with paying attention to global warming, his new documentary brings an update. since the art tides continue to pull our collective interests, there is ocean of art. robert ross’s name may be familiar from our masthead as the columnist who focuses on the latest exotic automotive offerings but his tastes run broader and deeper than the strictly vehicular. his yen for the unique symbolistic art form native to oceania is in full regalia in this issue. ross not only explains why this genre captivated the surrealists, but also the best places to find it and more importantly, how to spot a fake. it may spark interests in visiting galleries that specialize in this or it might get you on a plane for papua new guinea. 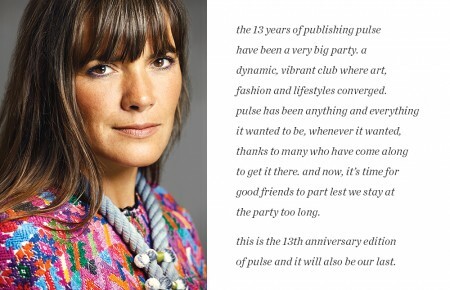 when I started pulse 12 years ago, a dedication to the arts was central to our DNA. many things have changed along the way, but the arts remain alive and well, perhaps more than ever. and summer remains the perfect time to enjoy them.